Today, July 12, 2017, is the 200th birthday anniversary of Henry David Thoreau, the “Yankee Yogi” of Walden Pond, Concord Massachusetts. 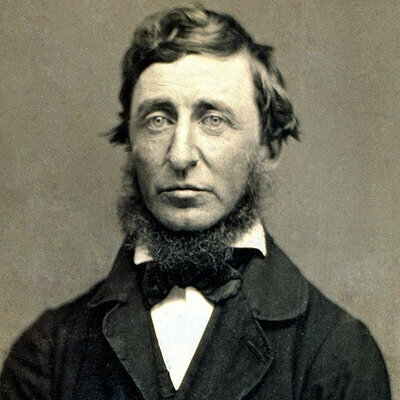 Happy bi-centennial birthday, Cousin Thoreau!! Today is also one of two days each month dedicated to Ganesh, the beloved elephant-headed god, according to the ancient Vedic calendar of India – ie third day following each full (bright) moon and third day following each new (dark) moon (no-moon). So this month, that’s today, Weds July 12, and Weds July 26. These are also the two best times each month to trim/cut your hair. Lord Ganesha, like the other gods or devatas cognized by the ancient rishis and maharishis of Vedic civilization, is understood to be a cosmic personification of the one universal Self, the self-nature of Reality, pure creative intelligence, absolute bliss consciousness, the Unified Field of Consciousness. So, today is the 200th birthday anniversary of Earth Saint Henry David Thoreau (1817-1862) [that’s THOR-oh, or THOW-row, or as in thorough ]. Clear-eyed, kind-hearted, grumpy St Henry is one of my favorite historical critters. So proud to say he’s not only a personal hero, but a cousin of mine, a few generations removed — one of the better greener twigs on my mom’s family tree! Henry’s grandfather was a pirate!— which is just such an effin fittingly ironical and unexpectedly weird but romantic factoid! My late friend, American Zen roshi Robert Aitken was frequently asked by Japanese interviewers who, in his view, was the greatest American? He always answered, “Henry David Thoreau.” And of course, they’d never heard of him and were utterly consternated. Instantly journalistically constipated. Whaa? Thoreau is best known of course for Walden, and for On Civil Disobedience. He got the idea for non-violent civil disobedience from reading about the principle and practice of ahimsa (non-violence) in the (later) Buddhist and (earlier) Vedic texts which were his favorite books. Martin Luther King’s use of non-violence during the Civil Rights Movement was derived primarily from his reading of Gandhi and Tolstoy and particularly Thoreau. Gandhi, though raised in a devout Hindu family and cultural context, learned much about the yogic and Vedic ideal of ahimsa at the basis of his own religion from reading and corresponding with Tolstoy. Tolstoy wrote back to young Gandhi recommending that he read Thoreau’s Civil Disobedience. From Thoreau, Gandhi learned to return to the sources of ahimsa philosophy in the Vedic texts of his own Hindu milieu. The Vedic schools of Yoga and Vedanta enshrine ahimsa as a central requisite tenet of their philosophical and practical teachings. Ahimsa in this context is much more than simply refraining from behaving badly in a violent manner. It means establishing and integrating one’s awareness in unity with the boundless peacefulness of unified consciousness—the enlightened source, course, and goal of yoga—unity. Lord Buddha, emerging from within a Vedic yoga tradition of enlightened self-discipline, also enshrined ahimsa as a central requisite tenet of his philosophical and practical teachings. 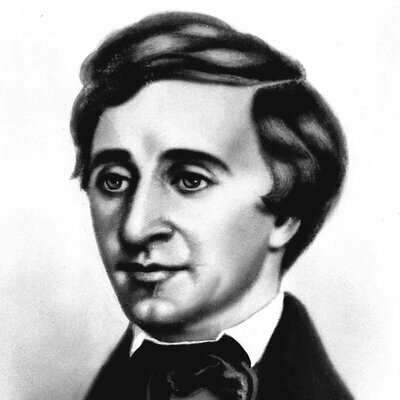 But most people don’t know that today’s birthday boy Thoreau, the peaceful Yankee Yogi of Walden Pond, was also an activist in the Abolition movement to emancipate American slaves. He worked as a semi-secret conductor on the Underground Railroad helping escaped slaves reach safety in Canada. When escapees came under his charge, Thoreau gave them rest in his own bed in his tiny cabin at Walden Pond while he stood guard all night outside with his loaded shotgun ready. Ready to shoot to kill if necessary to protect the refugees from bounty-hunters and slave-catchers who were legally licensed to re-capture runaway slaves and shoot them dead if they resisted capture and shackled return to slavery in the South. In the early mornings, still bearing his gun, Thoreau escorted his underground passengers onto actual trains northbound for Canada. He would board the train and ride in the aisle seat next to them with his shotgun in hand until they were safely across the Massachusetts border. Then he’d get off, and ride or walk back home to Walden. Thoreau’s civil disobedience was a very pro-active, nuanced, and humanely principled form of ahimsa. He was firm in “agreeing” to be imprisoned in the Concord Jail rather than pay a war tax to expand Southern slavery into warm territory to be stolen from peaceful Mexico in an immoral and illegal expansionist war of invasion and occupation. But he was also firm in putting his life on the line in armed resistance to the immoral but legally licensed practice of deputized thugs using bloodhounds, guns, bribes, threats and violence to recapture escaped slaves. Thoreau was quite a stand-up guy. Cantankerous, but with such a soft-heart and serene and penetrating gaze into the depths of nature. And into a better future to come for America and the planet. May we finally arrive. Thoreau was 27 years old when he built a small cabin on the shores of Walden Pond in Concord, Mass., in 1845. Henry David Thoreau spent hours hiking in the woods near his small cabin on Walden Pond. “He figured out that the way to break through into his own way of doing things was to think as he walked,” explains biographer Laura Dassow Walls. Walls, an English literature professor at Notre Dame, has spent her career studying Thoreau. Her new 615-page biography comes out Tuesday, coinciding with the 200 anniversary of his birth. Thoreau was born 200 years ago, on July 12, 1817. He died of tuberculosis at age 44. Thoreau was 27 years old when he built his small cabin in the woods near Concord, Mass. He set out to live a simple, solitary life, and it was there that he ended up writing his best known works, Walden and Civil Disobedience. Walls says Thoreau scribbled notes in pencil on scraps of paper — descriptions of the sights, sounds, smells and feel of the things around him. Thoreau moved into his 10-by-15-foot cabin on Independence Day, 1845. “When he moved to his little cabin at the pond he was on a quest for self-discovery … he was declaring his own independence,” says singer-songwriter Don Henley. The Eagles drummer was 22 when he discovered Thoreau in 1969. 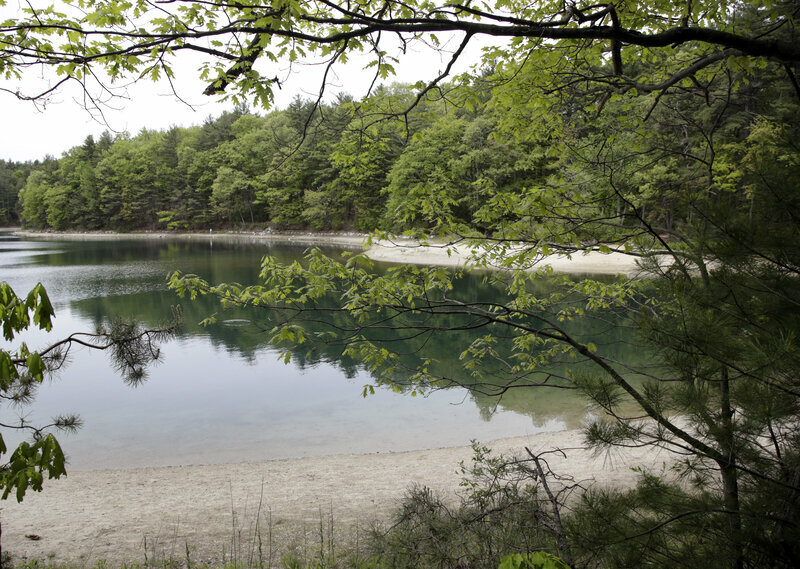 In 1990, Henley founded the Walden Woods Project and raised $20 million to purchase 200 acres of wooded land adjacent to Walden Pond so that it couldn’t fall into the hands of real estate developers. That’s in keeping, Henley believes, with Thoreau’s philosophy. The Morgan exhibition includes the author’s handwritten journals (you can see some of them here), along with artifacts from his life. Visitors can see the actual lock from the jail cell where Thoreau spent a night for refusing to pay his taxes to a government that sanctioned slavery, and waged what he considered an illegal war against Mexico. The experience inspired his essay, Civil Disobedience, a tract urging non-violent resistance to unjust laws, that later influenced Mahatma Gandhi and Martin Luther King, Jr. 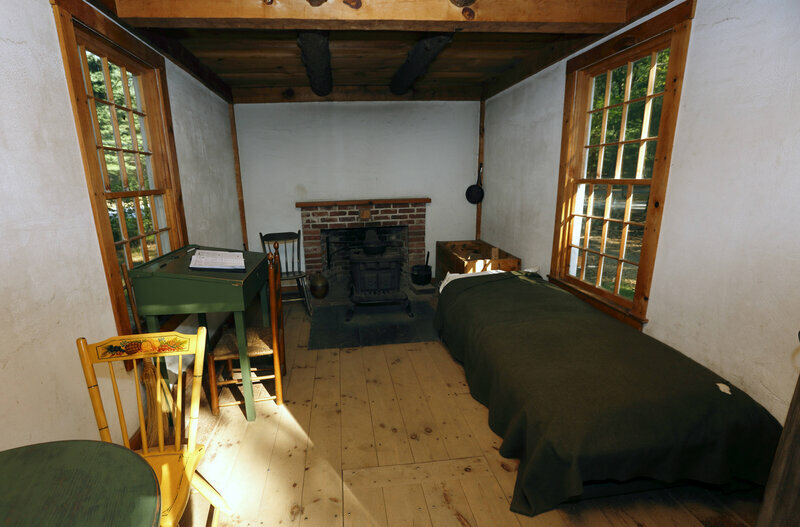 The interior of a replica of Thoreau’s cabin on the shores of Walden Pond. Kevin Dann, author of another new Thoreau biography, says Thoreau’s overriding theme of “the sovereignty of the individual” is why the author is more relevant now than ever. Just look, he says, at the nation’s surveillance systems and police brutality. 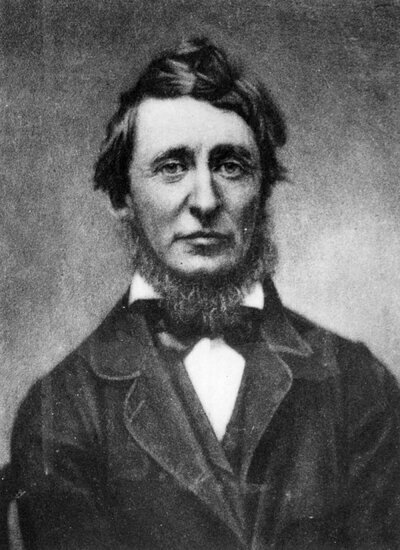 Thoreau died from tuberculosis in 1862. He was 44 years old. James Delahoussaye and Tom Cole produced and edited the audio of this story. Beth Novey adapted it for the Web.